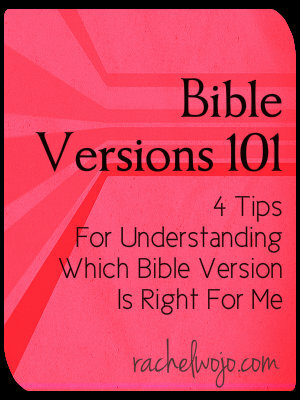 You are here: Home / Bible Study / Bible Versions 101: How Do I Know Which Bible Version To Read? 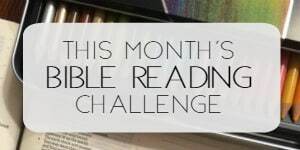 The variety of readers we have participating in the Bible Reading challenge is incredible. From brand new Christians to 50 year veterans, we are covering all ages and stages of life. Isn’t that awesome?! I love the precious testimonies (at least two I’ve read) from those who have been brave enough to say: “I’ve been a Christian for years and years, but I’ve never read my Bible all the way through.” Well, you’re doing it! THIS YEAR! 🙂 To help all make sure that we are getting the most out of the reading, let’s take a look at a few questions to help make the best decision for our personal, individual reading. How do I know which Bible version to read? Let me preface this entire post by stating that the purpose of this article is to be helpful to those seeking to read the Bible. This is not a historical lesson on the Bible and translations to the English language. That said, let’s go to class, shall we? 1. When you read the Bible, you should be able to comprehend it. If you don’t understand what you are reading, then it’s going to be really tough to do it for a whole year, and then, what would you have gained? If the “thee’s” and “thou’s” throw you for a loop, then the English Standard Version, New King James Version or New International Version might be the solution for you. 2. If you are purchasing a new Bible, you should read various sample texts to determine if you can comprehend what you are reading. Perhaps a parallel Bible would be a great solution. A parallel Bible is typically four different translations, correlated by page. For example, Matthew 4 would be in four columns, all the same verses, but each column would contain a different Bible translation. This could seem overwhelming, but it would give you the opportunity to read a few passages and determine which one is the best for your understanding. You don’t have to read all the translations each time you read;but it could be a way for you to begin to see which one is easiest to comprehend. I found an awesome tool at Thomas Nelson Bibles that allows you to read a text in various translations and easily compare the verse side by side. Check it out here! 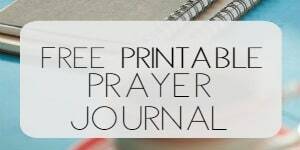 One more solution is using Bible apps- here are 4 fabulous Bible apps that I recommend. For brand new readers, a good passage to read for this test would be I John 1. 3.You should understand the difference between a Bible translation and a Bible paraphrase. Three popular Bible versions that are paraphrases are The Message, The Living Bible, and the Amplified Bible. These versions are not word for word translations of the original Hebrew and Greek texts- they are exactly what they say they are: paraphrases. This story form of reading God’s Word can be wonderful but should not be taken in a word for word context as they are not word for word translations of the original Word of God. 4. If you do not feel confident in your decision of which Bible to read, ask your Pastor, church leader, or experienced Christian. Sometimes people don’t want to ask because they don’t want others to know how difficult it is for them to understand which version to read. You are not alone!! As I said, I’ve received emails, message, and comments about this topic. I hope the basic four points above will spur you on to either continue in the version you are reading because you feel confident of your decision OR take action to make a change so that your relationship with God grows strongly. Which Bible version are you reading? I’d love to hear about it! interesting! I’ve never seen that one. Oh, I think I would love these two together. I’ll have to check that out. I go back and forth between NIV and The Message. On YouVersion I try to check out a few different ones to get a bigger picture of the passage. Great and helpful discussion! Forthis challenge I’ve mostly been using my NLT bible. I find it’s the easiest for me to understand in a quick manner. I grew up with NIV and sometimes use that too. I’ve tried KJV but the readings always take me a lot longer to complete when I try to read the KJV. I get it, but have to read a lot slower. totally get that! Thanks Becky! I really enjoy using Bible gateway http://www.biblegateway.com to read several different translation as one time. and of course it is free. I am currently reading the NLT study bible.. i love the extra commentary helps me better understand what I have just read . yes! And blueletterbible.org is a great resource as well. I bought myself a “Reformation Study Bible” for my birthday last year, so I’m reading ESV. I love this Bible! It’s easy to understand, but filled with tidbits that aren’t in any other Bible. Interesting! I’m headed to look it up. 🙂 thanks Gen! Great guidance, Rachel! I struggled for years trying to find a version that I could understand but that still had the rich language that defines the original Greek and Hebrew better. I finally settled on the Holman Christian Standard Bible (HCSB)–and mostly love it. That said, I enjoy using Biblegateway.com for a quick check on other versions of a given passage. 90 percent of the time, though, I still end up using the HCSB version of the verse. I recently downloaded the Olive Tree app for my iPad because I heard so many great things about it but haven’t used it yet. I’m working with an ESV right now that I really enjoy. But I also have a KJV I love too! Wonderful post! I’ve enjoyed the NIV, ESV and now I’m reading the Amplified. I don’t think the Amplified is a paraphrase Bible though. It delves into the original Hebrew and Greek words. I actually find it to be more of a literal translation. Gretchen- thanks so much! 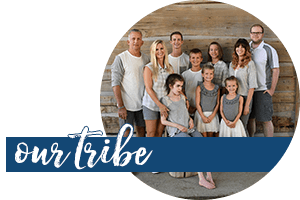 Here is one explanation of the Amplified Bible: The Amplified Bible was the first Bible project of The Lockman Foundation. It attempts to take both word meaning and context into account in order to accurately translate the original text from one language into another. The Amplified Bible does this through the use of explanatory alternate readings and amplifications to assist the reader in understanding what Scripture really says. Multiple English word equivalents to each key Hebrew and Greek word clarify and amplify meanings that may otherwise have been concealed by the traditional translation method. The Amplified Bible present on the Bible Gateway matches the 1987 printing. (http://www.biblegateway.com/versions/Amplified-Bible-AMP/) Because of the words “explanatory alternate readings and amplifications” portion, I believe it is a paraphrase. Not to say I don’t enjoy reading it!! Ok, thanks for posting the description! By the way, I LOVE your site. Thanks for all your hard work and dedication. God bless! I hope it was helpful! and thank you very much. God is gracious and full of blessings! Thanks for this! People say mean things about NIV , but people with learning disability it is easer to understand. People don’t think that we dont just need to be in Gods word but understand it too, I was raised with King James and didn’t read it because I never could understand it i was always fustrated, and felt like a lost child. But I love the NIV because I can understand Gods word, what a blessing it is to read Gods word and understand, and hear him speak. I still read the New King James with it to he me grow in understanding. So thank you this was very up lifting! Something else to remember is that it’s okay to have one Bible translation to read from for daily devotions and one for study. Also, if you’re a newbie to Bible reading, it’s good to remember that even if you’re starting with something like the Contemporary English Version (CEV), The Message, or the New Living Translation (NLT), it doesn’t have to be your “forever” Bible. You can always move to another translation or to a study Bible (if you’re reading a plain text Bible with no study notes) when you gain confidence in reading or you’re at a place where you begin to desire to learn more about what you’re reading and how to apply it to your life. Take it from someone who sells Bibles for a living, one Bible does NOT fit all readers! Excellent points! Thank you so much for adding this comment!